Now? Creating a website Is. So. Easy. I mean, seriously. You people have it SO easy. Maybe too easy. How are you going to build character? Get down right now and give me 20 push ups! Ok, kidding. Back to business. Let me show you how to create a website and blog in no time flat. Before you can run, you need to learn how to walk. I want to go over some of the things you’ll need in order to create a website. Now, this list might look a little scary at first, especially if you’re really new and just starting, but don’t worry. By the end of this article, I’m going to show you how to get everything all in one place so that you can create a website in a matter of minutes AND keep everything together and organized. These are the four main things that you need. Let’s go over them one-by-one. What Will Your Site Be About? Before we go into the details of the four things you need to start a website, there’s one thing you need to think about before you get started. What is your website going to be about? What’s your niche, or your topic? Is it going to be really narrow, or more broad? Both are completely great and acceptable, it just depends on what you’re looking to do. For instance, let’s say you want to have a website that’s focused on your love of black cats. (Yay cats!) And let’s say your site is focused on the types of food black cats eat, the toys they like to play with, how to take care of them, and all the other things related to owning them. This would be a more broad, authority-type site. Your goal would be to make your site one of the top sites that people go to to learn about black cats. Now let’s say that you want to have a website that just talks about toys black cats like to play with. Maybe it’s even called toysforblackcats.com. This is much more narrowly focused and just talks about 1 specific thing. Your goal would be to be the #1 place that people go to to look for toys for their black cats. Again, both types of sites are great, but you’ll want to have an idea of what you want to do before you decide on a domain name. Now that you have an idea of what you want your site to be about, you’ll want to pick a good domain name so that it’s easy for people to find you. Yes, you can get a free blog and use their domain name, but there’s a downside to that. Say you sign up at Blogger for one of their free blogs. You domain is going to be something like toysforblackcats.blogspot.com. It just isn’t ideal. It’s too hard to remember all of that. Instead you want a shorter domain that easier to remember. Now go back and think about what type of site you want to build. This isn’t completely set in stone. Websites change as time passes and you may have something different down the road than what you originally had in mind. That’s ok. Just try to get a domain name that matches up what you’re thinking about now. For instance, for that broader authority site, you’d want something like blackcats.com or guidetoblackcats.com. For that smaller site, it would be toysforblackcats.com. Or howtotrainblackcats.com. Ideally, the shorter the better. But, the most important thing is that it’s easy to remember. You can purchase a domain name in a variety of places. The sites where you can do that are called registrars. There are tons of them out there. I’ve used a few different ones myself. However, I’m going to give you my favorite place to get everything at the end of this article. In order to create a website, you need a platform to put it on. For instance, we talked about Blogger above. That’s a website platform. Another one – and the one that I recommend – is WordPress. Again, there are lots of platforms out there, but you want something that’s easy to use, easy to customize and one that the search engines will love and will make easier to find. Once you have your domain name and your website platform established, you’ll now need a place to bring those two things together. You need a place to host your website. Again, you can use a free site and they will do the hosting for you. I just don’t recommend this as a long-term strategy because it’s much harder for search engines – and people! – to find you. There are tons, and they’ll all likely do a decent job. Each one has different packages with different price points. It can be a little confusing when you’re first getting started. The place where I host this website is also the place where I get my domains and where I set my sites in WordPress. Yup! You know the drill. I’ll tell you about it in the end! Once you have a domain name, you know what you want to write about and you have a place to host your site, you’re well on your way. But, a website is nothing without content! That is the final – and most important piece – to creating a website and blog. This article that you’re reading right now is content. A video you create and put up on your site is content. You want to give your readers valuable and/or entertaining information to take in. – What do I want to write about? – What do people like to read about? – How can I help others? – What will be found in the search engines? What you want to do is create captivating content that’s going to help your readers figure something out, answer a question or solve a problem. But how do you find out what people are looking for? And how do you know how to structure your content to be easy to read and great for Google to find, too? And what about pictures? How do you find pictures and not get in trouble for using them? is a domain registrar. I can grab a domain right inside the platform. is a website host. I can host up to 25 sites at no additional cost. uses WordPress. You can create a WordPress site at the push of a button. It’s so simple! has a huge community. You can always ask questions or get support. Or just have a chat! What’s even better is that this platform is also a training website. This site is called Wealthy Affiliate. If you’re planning on making money with your blog, then you’ll likely do it through affiliate marketing. It’s a way of promoting products that you love or recommend and getting a commission for it. It’s how most people make money with their blogs. What’s great is that you can join for free to try it out – no credit card required. That way, you can see if blogging and affiliate marketing is right for you. I have a full, honest review posted on this site so you can get a better look of what’s involved with Wealthy Affiliate. Just click on the link below. In the meantime, I wish you well on your blogging journey. The biggest advice I can give to you is to just give it a try! You learn so much as you go along, and I think you’ll have a lot of fun in the meantime. 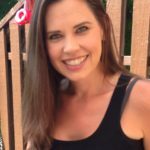 Click Here to See Where I Get My Domains, Host My Websites, Create My Content and Learn How to Put It All Together Step-By-Step. What will your website be about? Or, if you already have a website, what’s it about? What’s your blogging journey been like? Leave me questions or comments below. What a way to put it in one package. One stop shopping for a domain name, website, hosting, and training. Why go to four different places to get what you need. If you are serious about building a website to share certain information on a blog, you need to get all of the things together that you have listed. How long do you think it would take to get all of this together. I’ve certainly done the hosting here, domain name there type of thing. In fact, I still have a couple of domains with 1&1 currently. But I want to move them over because their site is hard to navigate and it’s also just so much easier to have everything in one spot. You can get everything together in just a couple of minutes if you know your niche and have an idea of what you want your domain name to be. The longest part is probably finding a domain name that isn’t taken. I run my own website and so I can vouch for the legitimacy of the information in this article is correct. You simply can’t go wrong with all the step by step training. Even newbies can walk in for a free sign up and learn to build their own business from the ground up. There is no one that is more special than another to be able to do this. 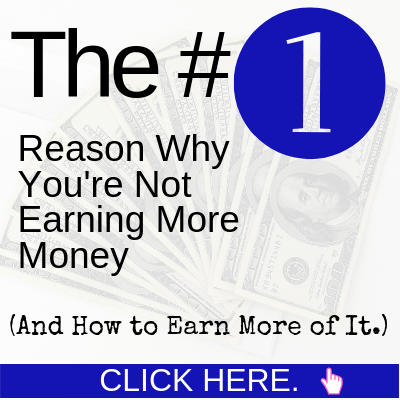 You just have to really want to earn money online for real and for the long term. I decided I’d pop in here to see if I could learn more, as I learn about online business everyday, and I can honestly say that I did pick up valuable data here that I can apply in my own online venture. Thank you Christina and please keep up the great work you are doing in showing others how to create a website and blog. Hi Philip, thanks for stopping by and giving your thoughts. Blogging can be a lot of fun and, if done right, can certainly earn money as I’m sure you know. And you’re absolutely right. No one is more special than anyone else when it comes to doing this. Well put. Everyone has the ability to make this work! Thank you so much for a great advice. I have been following Wealthy Affiliate for some months, it seems an awesome platform. Just created a free website and will soon consider going premium. Great! I’m glad you’re enjoying and using the free membership so that you can get a feel for what everything is like. It sounds like you’re having some success, so good for you! Thank you for this wonderful post. You have turned a very complicated and (frankly) intimidating subject into a very easy to understand process. I love the step-by-step organization so you can check items off as you succeed and of course, you recommend Wealthy Affiliate which is one of the most knowledgeable, helpful and trustworthy brands out there to assist with website creation. This is great information that everyone can use to get started. Thanks, Heather! I’m glad you’re enjoying Wealthy Affiliate. I don’t know where I would be without them. Probably still working a 9-5! I really love the process you have outlined! I wish I paid attention to some of those points, especially knowing your niche for sure before coming up with the domain name. Now the best part is that you have broken it down in a way any person can understand, and also straight to the point! Really engaging too, enjoyed it very much. Thanks so much for your thoughts, Alex! I appreciate it.